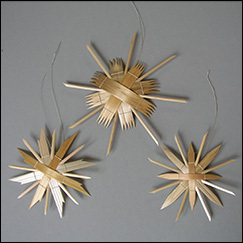 When I was a young girl, materials for making ornaments were scarce after WWII. 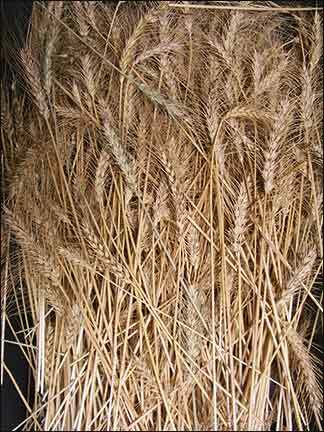 Every kernel of wheat, rye, in fact any grain, had to be used to feed the people. 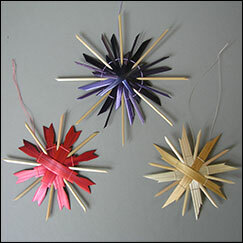 Lacking the traditional materials, many of us children created new ornaments with a great variety of designs. 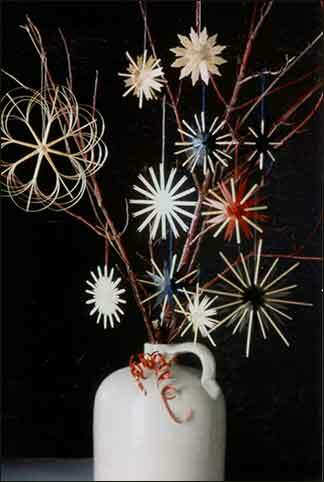 I continue to create new designs to this day. 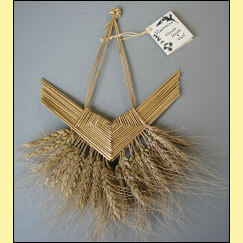 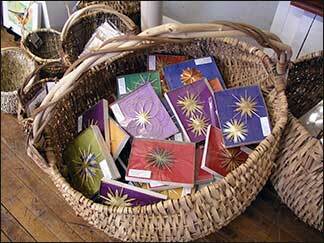 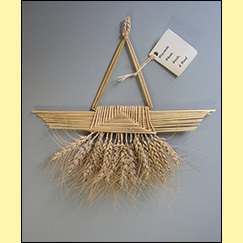 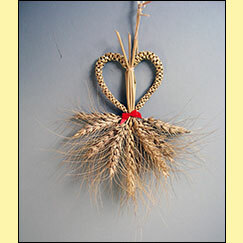 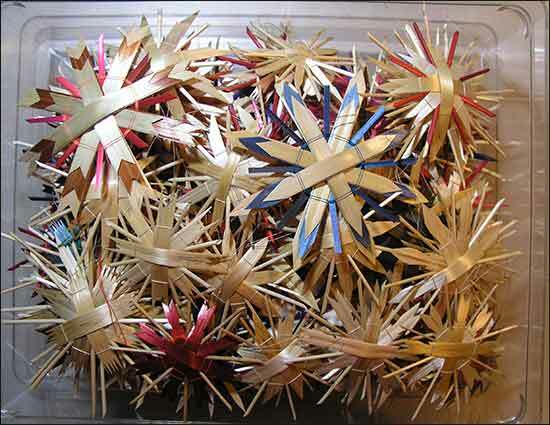 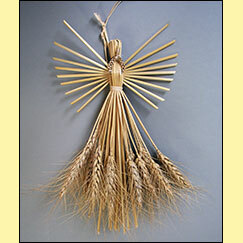 The star-like Christmas tree ornaments are made from local wheat.